Newsworthy: AutoMobility LA, the special media preview days at the LA Auto Show, will see crossovers and SUVs take the stage, including a long-awaited Jeep Wrangler revision. Speaker panels and displays will emphasize the future of mobility, including autonomous, electrified vehicles. BMW will be showing the i8 Roadster plug-in hybrid two-seater that will go on sale in early 2018. It had been initially shown in 2014, and this one will have 358 horsepower and 330 miles of range with 14 in EV only. Porsche will show four models including the Panamera Turbo S E-Hybrid Sport Turismo that gets 680 horsepower. The 2017 Top Ten Automotive Startups Competition startups range from enterprise carpooling and in-air hand controlled devices, to electric motorcycles and analytics software for commercial vehicles. The “Smarter LA 2060” challenge will show what the city would be like of a major international sporting event such as the Olympics were to be held in the city in 2060………. The Tesla Semi will start at an “expected base price” of $150,000 for a truck with a 300-mile range per battery charge, the company announced. That price will go up to $180,000 for a 500-mile range truck. The first 1,000 Tesla Semis as “Founder’s Series” models and priced them at $200,000 (but fleet orders probably won’t be included)………….. BMW AG said it’s talking to suppliers of cobalt and other battery materials as fears intensify over supply running short, pushing already inflated prices higher. Sourcing of cobalt and other materials is “the most important” question BMW has to address before it decides whether to produce its own battery cells, the company said. 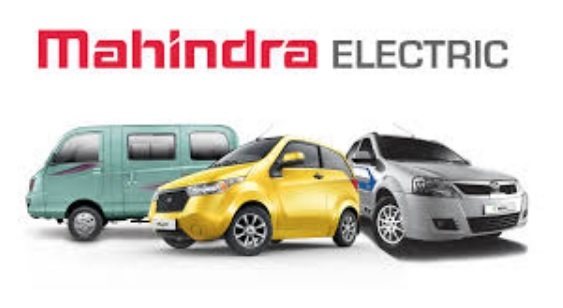 Electrified shared rides: Friday saw Indian automaker Mahindra and Mahindra and Uber announcing a pilot project to test out electric vehicles on the Uber platform in India. Hundreds of EVs will roll out in Delhi and Hyderabad starting in March, and other Indian cities will be under consideration. This announcement came days after Uber acknowledged that it had paid off hackers $100,000 over a year ago to destroy stolen data on more than 57 million customers and drivers. That’s brought up a few class-action lawsuits and a federal probe. Mahindra will be adding two new EVs to its fleet, with one being jointly developed with its South Korean unit, Ssangyong Motor Co, India’s national government continues to push forward on the plan for clean vehicles and energy, with some of it being deployed through public transportation. Uber and Mahindra will work with public agencies and private companies to establish charging stations, starting in Hyderabad. Newsworthy: Tesla revealed its electric semi truck at a long-awaited Los Angeles unveiling last night. CEO Elon Musk bragged that it will go 500 miles per charge, with 400 of those miles capable of being charged in 30 minutes. An even faster charge may be coming, too. The heavy-duty truck will be able to go zero to 60 in five seconds, and can hit 60 mph in 20 seconds with an 80,000 pound payload. Musk said that it will make a real difference in the commercial truck market with its cost savings and driver comfort features. It will also save truckers a lot in maintenance costs, with Musk expecting the trucks to not break down until they pass the one million mile mark. 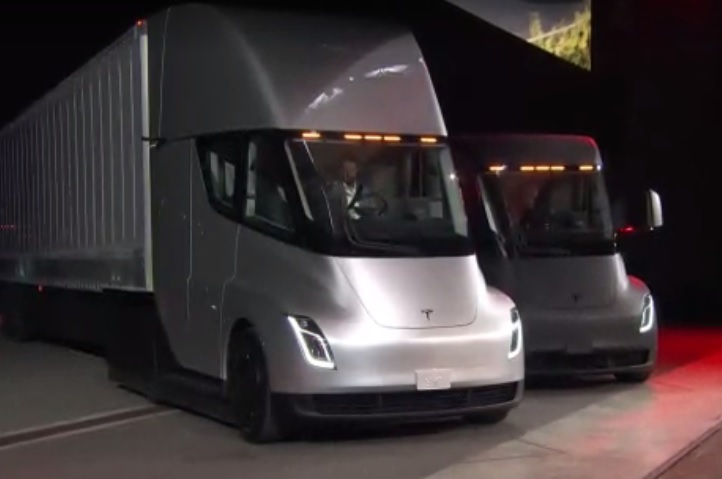 The Tesla chief also said that the semi truck will be able to work in a three-truck convoy, reducing its cost per mile for the fleet down to $0.85 per mile, versus diesel being at about $1.25 per mile. The truck was revealed in a larger, long-haul version and a day cab without a sleeper. Attendees at the event were also able to view a new version of the Tesla Roadster roll out of the semi’s trailer. The sports car now has a removable glass roof. Musk said the Roadster will be the fastest car in production on the market with a maximum speed of 250 mph; and the ability to go from 0 to 60 in 1.9 seconds. It can go up to 620 miles on a single charge, a record for production-level electric vehicles………. Toyota is thinking about forging a joint-venture alliance with a Chinese automaker to build electric vehicles locally and meet new energy vehicle mandates issued by the government. China will be starting a quota requirement for all-electric and plug-in hybrid electric vehicles beginning in 2019 with an ambitious target of seeing 2 mission NEV sales by 2020; and a potential phase-out of fossil-fuel powered vehicles. Toyota currently operates JV companies in the country with China FAW Group Corp and Guangzhou Automobile Group……… Daimler AG will be investing 5 billion yuan ($755 million) in China for factory capacity to manufacture electric cars and their battery packs. The company wants to be well prepared for its Mercedes-Benz and Smart brands comply with new energy vehicle mandates. Safe automated driving: A warning sign on California freeways says that “Buzzed driving is drunk driving.” A few other states have similar public education campaigns. What is the meaning of driving buzzed, and does it have anything to do with California and a few other states legalizing marijuana consumption? No, it has to do with a key issue state regulators and safety analysts bring up – the need to eliminate drunk driving and the necessity of bringing self-driving cars to U.S. roads. 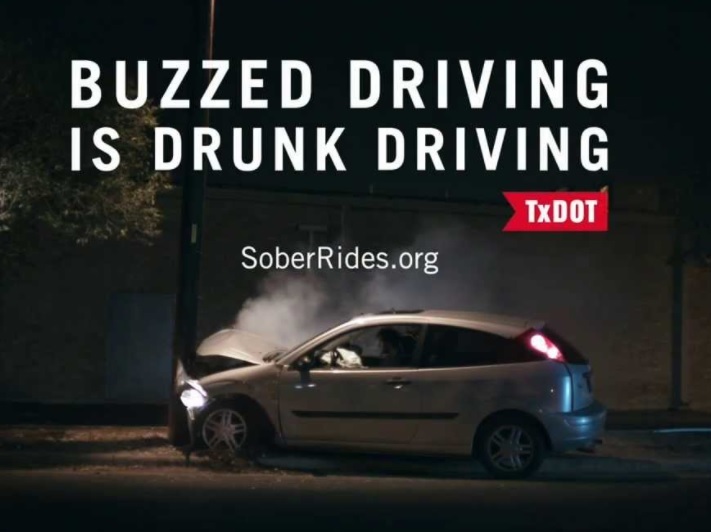 Buzzed driving refers to driving a car with a blood alcohol content (BAC) of .01% to .07%. That’s slightly under the .08% BAC standard used in most state’s drunk driving laws; but there’s been a great deal of concern that while .01% to .07% is legal for drivers, it can be just as dangerous as .08% or higher drunk driving for some of them. Self-driving cars are expected to dramatically reduce the highway fatality rate by taking away control of the car from drunk drivers being part of it. Drunk driving is still the leading cause of fatal crashes in the U.S. Last year was one of the worst ever, with an average of 20 people per day killed in DUI crashes. Safety experts have shared concerns about states legalizing marijuana and its possible side effects on road safety. That’s not measurable in a BAC standard used in drunk driving, but it may become part of state legislation in the future. Ride-hailing firms like Uber and Lyft have successfully tapped into concerns over drunk driving and see their rides as providing a solution to the problem. Uber and Lyft drivers have stories about riders expressing gratitude for their services, not having risked drunk driving after an evening at a night club or party. Mothers Against Drunk Driving (MADD) has been working with Uber in recent years to inform people that taking an Uber ride is much safer than getting behind the wheel after they’ve been drinking. 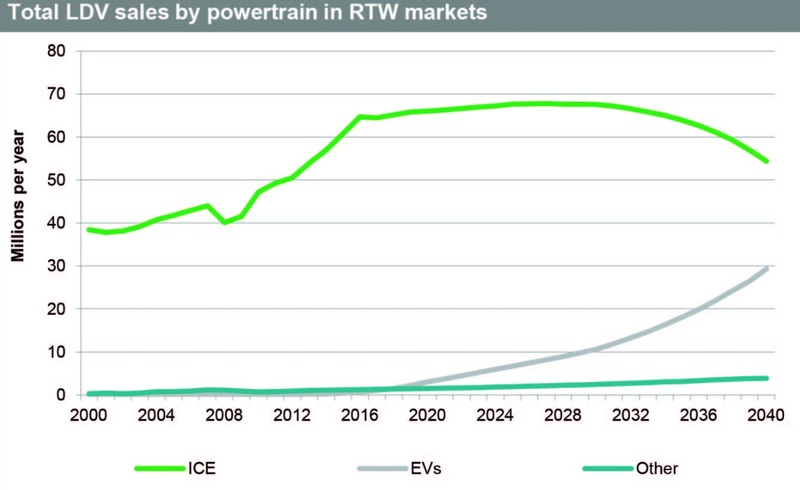 GM ready to roll out profitable EVs by 2021, Will Elon Musk’s superstardom be enough for Tesla to overcome hurdles? Newsworthy: America’s largest automaker is poised to solve the quandary automakers face on making profits building and selling electric vehicles. 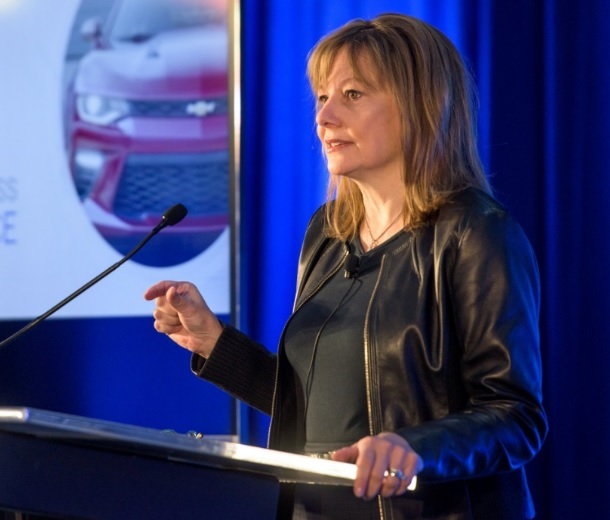 General Motors CEO Mary Barra yesterday told investors at the Barclays Global Automotive Conference in New York that the company in 2021 will be launching a new, flexible platform for electric vehicle launches that will bring down costs and increase profits. The new EV platform will accommodate multiple sizes and segments, to be sold by different GM brands in the U.S. and China, she said. A new battery system will bring down costs 30% cheaper than the battery pack used in the Chevy Bolt, Barra said. The automaker will be building at least one million EVs a year by 2026, with most going into China to comply with new energy vehicle regulations. Last month, GM said it planned to launch 20 new electric vehicles by 2023, but did not provide details………… Clean Energy Fuels Corp. announced yesterday that Dallas Fort Worth International (DFW) Airport awarded Clean Energy a renewable natural gas (RNG) fueling contract for the airport’s vehicle fleet with its Redeem brand of RNG. The airport sees using the clean fuel as a way to potentially reduce its fleet emissions by about 70%…………… Daimler will be entering the electric bus market by end of 2018 with the beginning of series production of the all-electric Mercedes-Benz Citaro E-CELL. It will use modular lithium ion battery packs that can be tailored to each customer. The company thinks that by 2030, 70% of all newly-registered urban buses will have emissions-free drive systems. State of the Company: It’s been a year of mega-celebrity status for Tesla CEO Elon Musk – being recognized more than Warren Buffet, Jeff Bezos, Mark Zuckerberg, and Richard Branson combined. 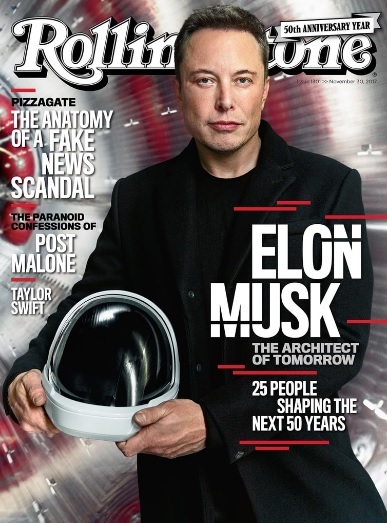 He’s been on the cover of Rolling Stone this month, as head of both SpaceX and Tesla, reaching rock star status. People Magazine was interested enough in his breakup with actress Amber Heard, who finalized her divorce from actor Johnny Depp in January. “I was really in love, and it hurt bad,” Musk said. Reality has kept him out of the alternate dimension, with Tesla just announcing its largest quarterly loss ever and a three-month Model 3 manufacturing delay. There’s also been an employee lawsuit over the working environment at its Fremont, Calif., production plant. An African-American employee is seeking a class-action lawsuit against the company, where he calls the production floor a “hotbed for racist behavior,” where the suit claims black workers regularly face harassment. The Tesla chief continues to take on extra projects like the Boring Company digging up an underground train tunnel in Los Angeles, developing the Model Y electric crossover, Autopilot software, and the Buffalo, N.Y.-based solar panel factory – all the while directing SpaceX flights to Mars and working to establish Tesla’s role China. The company plans to leap five-fold in production by the end of next year — from about 100,000 electric vehicles expected to be produced this year to 500,000 next year. That will be led by the new Tesla Model 3. The upcoming Model Y crossover is expected to also play a key role in the company hitting its second grand target — producing 1 million new vehicles per year starting in 2020. Musk’s superstar status may not be impressive enough to maintain strong relations with major investment bankers. Tesla’s stock price has taken a major hit this year, and investors wonder if the company will need to make another junk-bond offering. Model 3 production and delivery will need to be steady to meet the expectations of most investors, who count on the Model 3, and later on with the Model Y.
Newsworthy: The Renault-Nissan-Mitsubishi Alliance will be rolling out 12 new all-electric models using common platforms by 2022, according to CEO Carlos Ghosn. Plug-in hybrid models will also be utilized, coming from Mitsubishi’s experience with the Outlander PHEV. Two other utility plug-in hybrids will be coming to market over the next two years. The alliance companies have collectively already sold more than a half million plug-in electrified vehicles…………. Solid-state batteries are gaining more support for fast charging, long-range electric vehicles for the next decade. Fisker, Inc., has filed patents for these types of batteries, and expects to see them used in mass-scale production of its EMotion electric sedan around 2023. Toyota believes enough in the technology to launched EVs with energy stored in solid-state batteries around 2022…………. Major Chinese automaker Geely will be buying up U.S. flying car startup Terrafugia for an undisclosed amount. Terrafugia plans to bring its first flying car to market in 2019. The company will remain headquartered in the U.S…………… The BMW Group announced that by 2020, the company will only sources its electricity from renewable energy; that’s up from 63% of it coming from renewables at the end of 2016. The automaker made the announcement during the UN Climate Change Conference in Bonn, Germany. 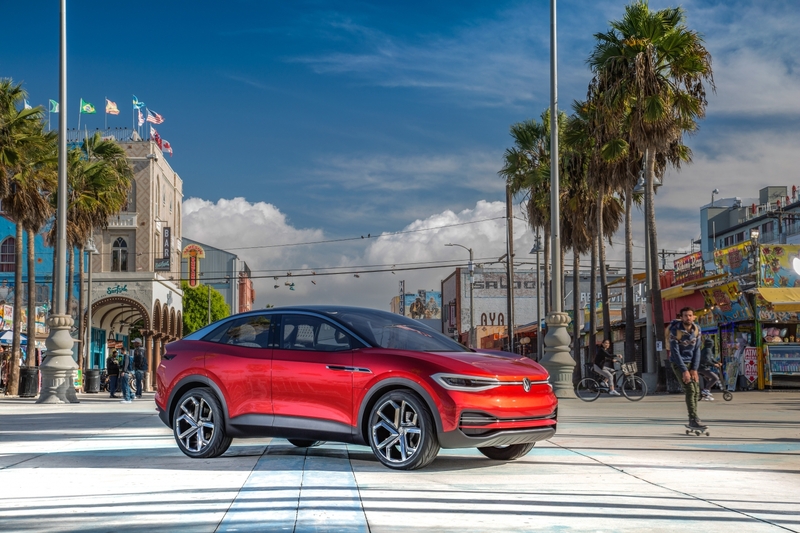 Going Mobile: Plug-in electrified vehicles will make up 30% of new vehicle sales in four critical markets by 2040 – China, the U.S., Europe, and India – according to a new study by IHS Markit. You’ll notice that the percentage isn’t anywhere near 100% if fossil-fuel bans were to be enacted across these four markets. China, India, France, Great Britain, and other markets are considering banning gasoline and diesel powered engines entirely. Reinventing the Wheel is a new multi-client, scenarios-based research initiative by IHS Markit that combines its energy, automotive and chemical teams for system-wide analysis of the new reality of transportation. It includes the future of mobility and car ownership, which is expected to have a major impact on the energy chosen to power vehicles of the future. Consumers will be shifting away from car owners to paying for mobility services during the transition time, the study says. By 2040, vehicle miles traveled (VMT) will have grown to an all-time high of around 11 billion miles per year in the four studied markets. That makes for a 65% increase of VMTs from now. Over that times, sales growth of new light-duty vehicles will slow substantially, according to the study. Use of autonomous vehicles will also be a driving force for change. While the U.S. may not ban fossil-fuel vehicles and could soften mileage and emissions rules under the Trump administration, market forces will still be at play for EVs to hit the 30% mark across the four major auto markets included in the study. The IHS Markit study concludes that higher fuel economy and emissions standards and reduction in gasoline’s share of new vehicle sales will lead to an aggregate decline for oil that ends up in gas stations during the 2020s. Another tipping point cited in the study will be seeing the cost of EV battery packs drop significantly by the 2030s, making EV costs much more competitive with internal combustion engines. 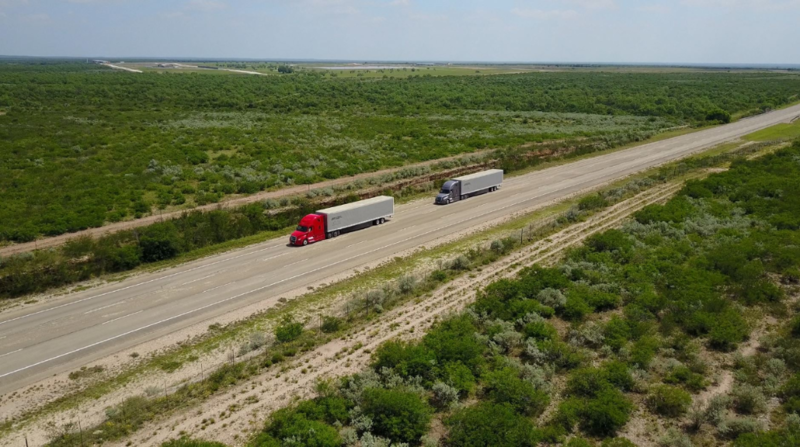 Newsworthy: Autonomous trucks appear to be ready to adoption on public roads faster than self- driving cars with huge investments being made for that to take place, according to technologists like Tesla and Embark. Trucking companies may not be as optimistic about the fast pace. Tesla will be showcasing its electric truck with some autonomous capabilities, while Silicon Valley startup Embark has been testing its autonomous trucking technology in a three-way partnership with Ryder and appliance giant Electrolux. CB Insights reports that companies will place about $1 billion in commercial truck autonomous systems this year, 10 times the level of spending three years ago………. General Motors’ joint venture company will be able to hit China’s new energy vehicle requirement of 10% in annual sales by 2019 without having to buy credits, GM China chief Matt Tsien said. “I can’t give you any specific (NEV production and sales volume) numbers other than to say that through the complicated formula we will either meet or exceed,” he said………….. Faraday Future is continuing to struggle, with three top executives leaving the company or already having done so. Stefan Krause, a former financial executive at BMW and Duetsche Bank, has left as CFO. Ulrich Kranz, another BMW veteran, and tBill Strickland, head of vehicle manufacturing who previously headed the Ford Fusion program, are exiting Faraday……….. It looks like the Ford C-Max will stop production over the next year. The 2018 model year lineup has dropped the C-Max Energi plug-in hybrid, and the C-Max Hybrid is expected to finish up at the Michigan Assembly Plant in mid-2018………. Volkswagen may be adding the third-generation Beetle to its electric vehicle lineup built on the new MEB platform, according to Board Chairman Herbert Diess. State of the Technology: While Toyota and a few other global automakers are taking hydrogen fuel cell vehicles quite seriously, the clean technology’s chances of reaching mass adoption are still far away. 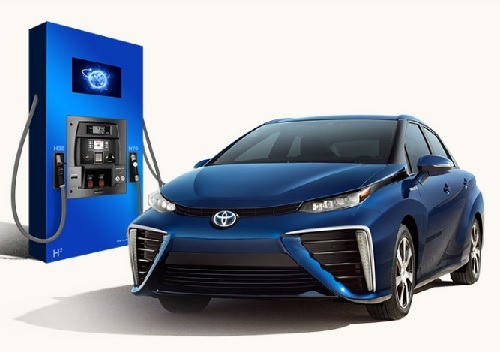 Yoshikazu Tanaka, chief engineer of the Toyota Mirai FCV, said that Toyota won’t be giving up on fuel cell vehicles, but electric vehicles are in a stronger position for widespread adoption in the marketplace. “Elon Musk is right – it’s better to charge the electric car directly by plugging in,” he said. The Japanase automaker has so far only sold about 2,400 of its Mirais in the U.S., and about 4,300 total worldwide. That comes after two years of being on the market, and pales in comparison to EV sales in China, the U.S., and Europe. Toyota’s strategy is based on a diverse product portfolio, with hydrogen-powered commercial trucks being tested in Japan, sales of the Prius Prime plug-in hybrid taking off, and a new business unit dedicated to electric vehicle development. That comes from increasing pressure by governments to provide fossil-fuel free vehicles in the coming decades; and forecasts by several companies including oil giant Shell. Fuel cell vehicles will be part of it as zero emission vehicles complying with government mandates, but the expectations are strong for mass adoption of EVs by the 2030s. Toyota doesn’t see a fight between the two technologies to be inevitable. 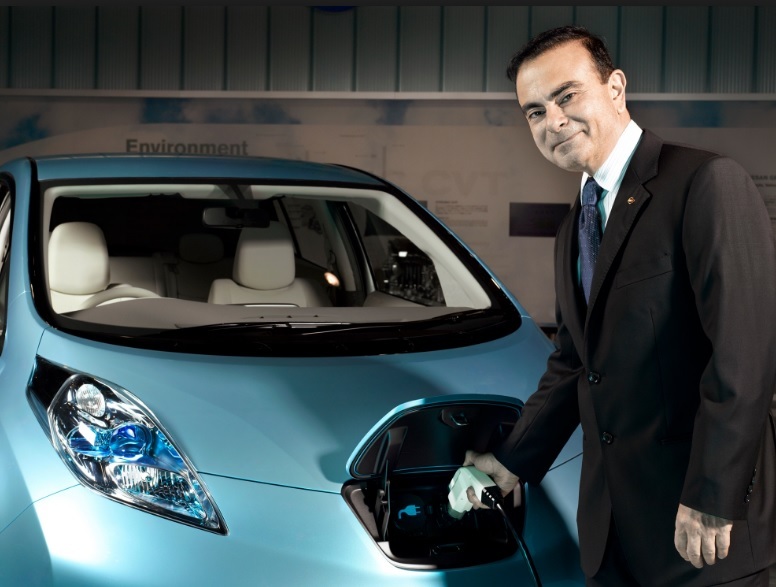 “We don’t really see an adversary ‘zero-sum’ relationship between the EV and the hydrogen car. We’re not about to give up on hydrogen electric fuel-cell technology at all,” Tanaka said. Fuel cell technology is seeing a lot of its business growth with companies like Amazon using it for powering fork lifts and providing energy to massive warehouse facilities. Plug Power is seeing demand grow in these sectors, with the company reporting 250% revenue growth in the third quarter. 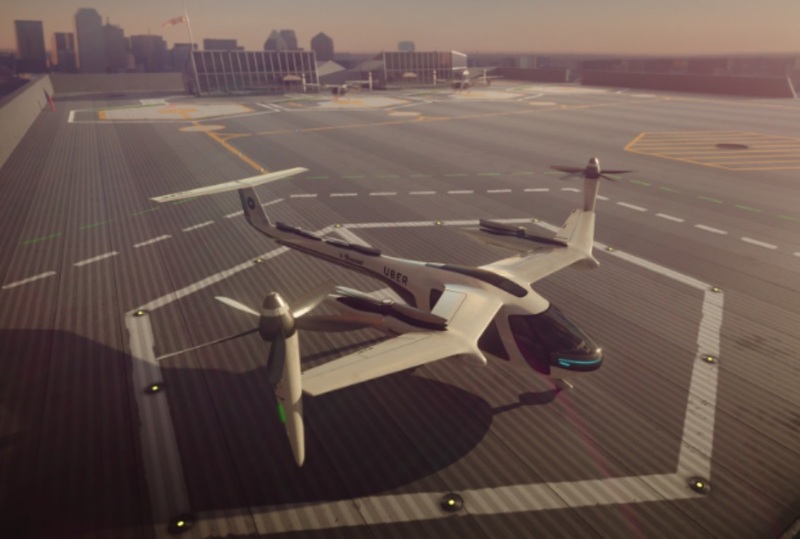 UberAir coming to LA: Uber may have had its self-driving car project sidelined by a major courtroom battle with Waymo, but its flying taxis are moving forward. The ride-hailing firm said that it will begin testing a flying taxi service in Los Angeles in 2020; there are plans in place to go to Dallas and Dubai as well. UberAir will transport passengers by air in an electric aircraft through the region. As Uber is doing with riders getting trips in cars, the company will operate the software for end users to book and take the trip, earning a commission for doing so. Transportation will come from aviation manufacturers such as Embraer, Bell Helicopter, Pipistrel, Aurora Flight Sciences, and Mooney Aviation. The new service will differ from the UberChopper helicopter service by being much cheaper; instead of thousands of dollars for helicopter rides, UberAir will be comparable to UberX rides on city streets. Uber has partnered with NASA to help it develop air traffic management systems for its flying taxi initiatives. NASA will help create a framework for the air traffic management of drones, an agency spokesman said. Recommendations will be presented by NASA and its partner companies to the Federal Aviation Administration in 2019, for determining whether these flight services can be integrated into existing air traffic systems. Supercapacitor potential in EVs: Lamborghini announced the Terzo Millennio (“third millennium”) concept car at the EmTech conference in Cambridge, Mass., earlier this week, showing the potential for electric drivetrain technology of the future. It comes from the first year in a three-year partnership between the automaker and the Massachusetts Institute of Technology focusing on super-powered batteries. The project is developing supercapacitors that can provide the level of energy needed to power a supercar and that could be applied to any battery electric vehicles. Supercapacitors are in an early phase for current vehicle applications, such as supporting stop-start systems in hybrid vehicles. They store energy and don’t generate the heat of lithium ions, and have the potential for playing a key role in advanced electric drive systems of the future. Audi adding to its e-fuels: Audi is preparing to start production of a synthetic diesel fuel that it’s calling e-diesel. 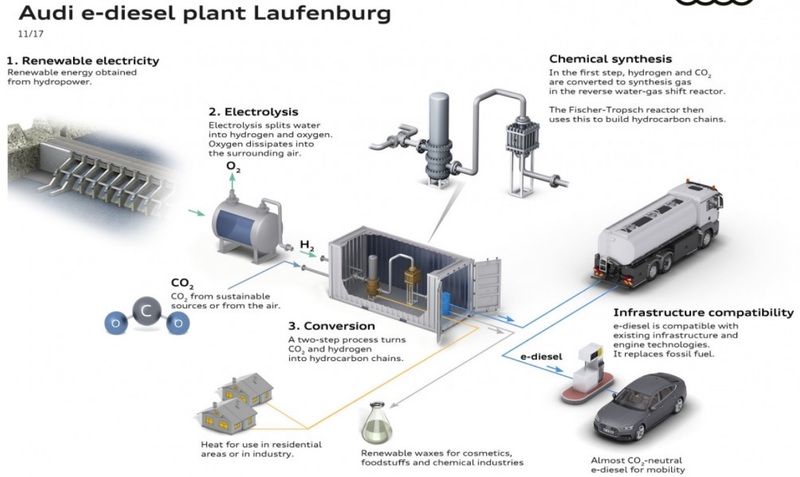 Working with two partner companies, a plant will be set up in Laufenburg, Switzerland, that will be able to take excess energy coming from hydropower combined with CO2, converting it into a CO2-neutral diesel fuel. The CO2 being used will come from the air or bio waste gases. Construction of the plant will start in 2018 and should be finished by the end of that year, with the capacity of producing around 105,000 gallons of e-diesel per year. Audi’s e-fuels started in 2011 with plans to start energy production from wind turbines in the North Sea that would feed the renewable energy back into the grid. That led to turning renewables into liquid fuels that could power vehicles, with the first one being e-gas in 2013. The E-gas synthetic fuel, similar to natural gas, was followed by e-benzin in 2015, a synthetic fuel named after Germany’s term for gasoline, benzin. 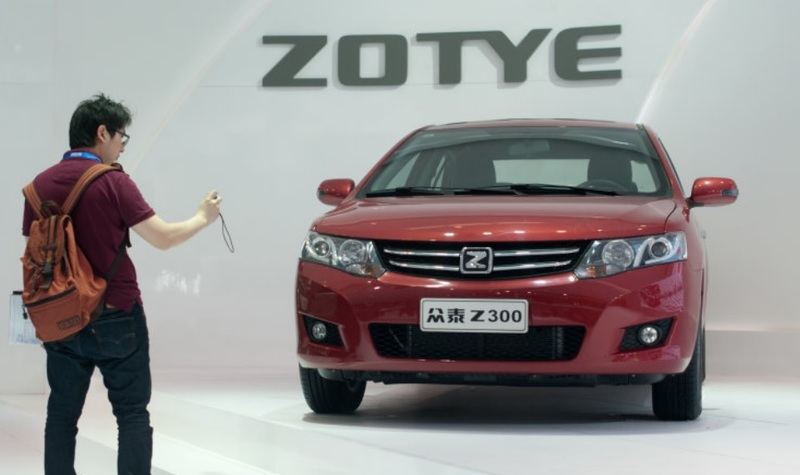 Ford creating JV with Zotye: Ford Motor Company and Chinese automaker Zotye signed an agreement to establish Zotye Ford Automobile Co., Ltd., a new 50:50 joint venture that will offer a range of stylish and affordable all-electric vehicles for consumers in China under a new local brand. If it achieves regulatory approval, the new JV will design, build, market and distribute all-electric passenger vehicles for the Chinese market. The Detroit automakers already has JVs in place with Changan Ford Automobile Corporation, Ltd. and Jiangling Motors Corporation. Ford will continue working closely with each of its JV partners to develop and manufacture new energy vehicles to meet rising consumer demand in China during the impending electrification phase of the Chinese auto industry. SJ Airport bringing in electric buses: Electric bus maker Proterra announced that the San Jose City Council has approved the purchase of 10 Proterra Catalyst E2 battery-electric transit buses and related charging infrastructure for use at the San Jose International Airport. It marks Proterra’s first airport electric bus deployment in the San Francisco Bay Area. Scheduled to be placed in service in late 2018, the buses will be designed and built in California at Proterra’s Los Angeles County manufacturing facility. “These electric buses can help us significantly reduce costs and greenhouse gas emissions, and represent a step towards our aspiration that an electric engine power every shuttle and bus on San Jose’s streets,” said San Jose Mayor Sam Liccardo. 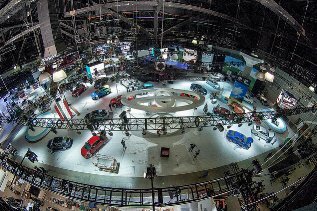 AutoMobility LA will kick off LA Auto Show: AutoMobility LA is bringing together leading technology companies, automakers, designers, entrepreneurs, government officials and more at the Los Angeles Convention Center, Nov. 27-30, 2017. Debut vehicles will be shown right after at the 2017 LA Auto Show, which will be open to the public Dec. 1-10. The AutoMobility LA conference will feature more than 50 thought leaders across several panels, discussions, and keynote addresses. The Top 10 Startups challenge sets ten startups apart from thousands of newcomers, earns them a tremendous amount of media exposure, and places their products/services on AutoMobility LA’s global stage. Automakers are expected to conduct more than 50 world-class debuts at the event. BMW will be making nine debuts during its press conference, including two global debuts. Porsche will launch the global reveal of the Panamera Turbo S E-Hybrid Sport Turismo. Green Car Journal will announce the winner of the 2018 Green Car of the Year award. The 2018 nominated models include the Honda Accord, Honda Clarity, Hyundai Ioniq, Nissan Leaf, and Toyota Camry. The announcement will take place at the LA Convention Center on Thursday, Nov. 30, at 8:00 a.m. PST inside the Technology Pavilion. Waymo faces tough ruling by judge: Alphabet’s Waymo is facing a serious challenge in making its court case that Uber is guilty of stealing intellectual property behind its innovative self- driving car technology. The federal judge in San Francisco hearing the trial has excluded Waymo’s damages expert, Michael Wagner, from the case; and has restricted use of financial evidence at the trial, according to a docket entry. Waymo claims that it has received damages worth about $1.9 billion in losses. Uber has denied using intellectual property that had allegedly been stolen by former Waymo engineer Anthony Levandowski. 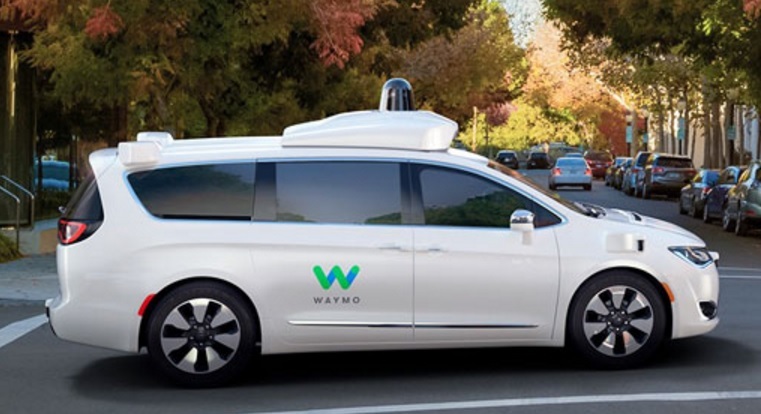 Waymo responded to the judge’s decision with a statement that it could still pursue full damages using “the same documents” relied upon by Wagner. Making hydrogen even cleaner: Hydrogen fuel station company True Zero says that fuel cell vehicles in California have driven 17 million miles and have used 250,000 kilograms (250 metric tons) of clean hydrogen. That’s come from fuel supplied to 18 retail stations owned and operated by the company. There are now 31 stations open across California, supported by California Energy Commission grant funding. Two-thirds of True Zero’s hydrogen comes from fossil fuels, such as natural gas. One third comes from renewable sources such as biomass; the company says that it is working to increase the use of renewable hydrogen. 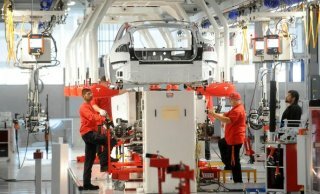 Tesla acquires automation company to speed production: Tesla has acquired a company to further automation at its manufacturing facilities, opening the door to increase production of its closely watched Model 3. Perbix, a maker of automated machines used for manufacturing, has been acquired by Tesla after nearly three years of working with the electric carmaker. Tesla has declined to disclose the cost of the acquisition and other details. Tesla will be expanding Perbix’ operations in the Minneapolis area, where the supplier is based. Tesla CEO Elon Musk has recently been making comments about the automation challenges holding up hitting the production timeline that had originally been set for the $35,000 Model 3. In other news, Jon Wagner, Tesla’s director of battery engineering, has left the company and is launching a battery and powertrain startup in California. Green car sales up in October: Hybrid and plug-in vehicle sales were up from a year ago during October but down from September, which was the case with the overall new vehicle sales market. Sales were up for each category (hybrid, plug-in hybrid, and battery electric) year-to-date. Hybrids came in at 2.18% of U.S. new light duty vehicle sales in October, and plug-in electrified vehicles made up 0.996%. 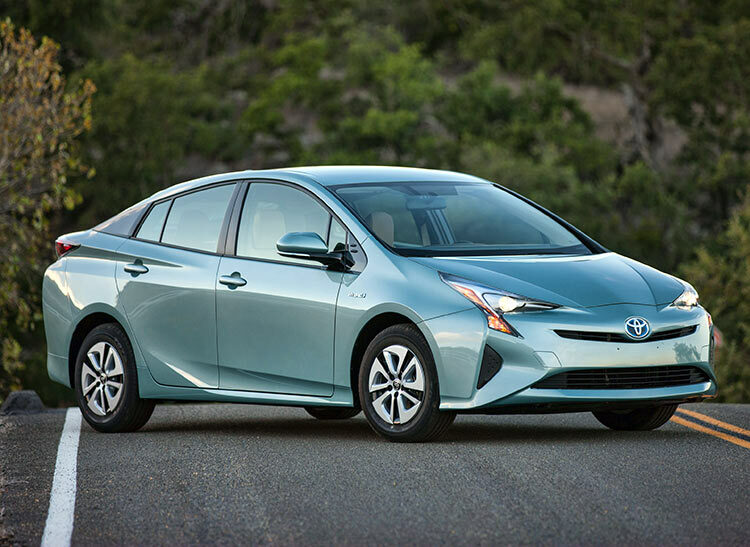 The Toyota Prius Liftback continues to fall out of place as the top selling hybrid in the U.S., coming in third place last month behind the Ford Fusion Hybrid and Toyota RAV4 Hybrid. It’s still the leading hybrid model for this year at 55,443 units sold versus 49,764 of the Ford Fusion Hybrid. The Prius Liftback is way down from last year, with 83,793 sold at this point in time during 2016. The Fusion Hybrid has almost doubled in volume form 26,699 sold through October 2016. The Chevy Bolt was the leader, by far, in plug-in electrified vehicle sales last month, with 20.7% of plug-in vehicle share. The Chevy brand took the first and third spots in total U.S. plug-in sales for the month. The Tesla Model S and Model X were way down in sales from September (75.6% and 73.5%, respectively), as the company struggles to prepare its car and battery factories for producing large volumes of the Tesla Model 3. For this calendar year, the Model S is No. 1 in U.S. plug-in sales, while the Model X is in the fifth position. Case study on fleet savings: Tesloop, a two-year-old company based in Culver City, Calif., that takes passengers to and from locations in Southern California in a Tesla, has released a case study showing how much money fleet operators can save going with electric vehicles over traditional gasoline-engine luxury cars. Looking at total cost of ownership over 300,000 miles with a Tesla Model S compared to a Mercedes S-class and Lincoln Town Car found that, in the case study, Tesla Model S cost only $10,500 in maintenance and fuel costs. The Mercedes had about $86,000 ($52,000 for maintenance and $36,000 for fuel) for the same mileage. The Lincoln Town Car had about $70,000 ($28,000 for maintenance and $42,000 for fuel). 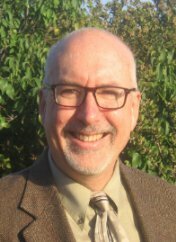 It is only a case study with several variables changing based on several conditions, but the cost savings are being seen by fleets for electric passenger cars and commercial vehicles; that has much to do with a lot less maintenance and replacement parts needed for electric drivetrains along with substantial fuel savings. 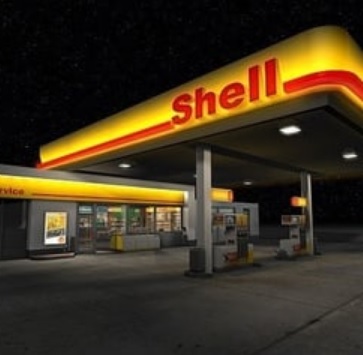 Shell shifting away from motor fuel: One of the Big Oil giants, Royal Dutch Shell, is preparing to bring in more future revenue in other segments than vehicle fuel. As its executives have been stating in the past year, the company expects that demand for gasoline will likely reach its peak by the 2030s with owners switching over to electric vehicles ad traditional engines becoming even more efficient. Refined oil products and petrochemicals present a viable market growth opportunity, the company says. Examples include viable substitutes for asphalt as developing nations build more roads; or for polymers and chemicals used in production of cars, toys, and clothes. Shell will be doubling the size of its chemical operations by the mid-2020s with several new plants coming to Louisiana and Pennsylvania that benefit from access to cheap shale gas. The oil company wants about 20% of its revenue from its worldwide fuel stations to come from electric vehicle charging stations and from low-carbon fuels by 2025.